Who doesn’t love tacos? I don’t think I’ve ever met a taco hater, I hope to never meet a taco hater. See ya later, taco hater. (This is just me being silly of course). Most of the prep is done in advance, so I get to enjoy my guests instead of running around like a crazy person. My guests don’t even realize that I am putting them to work, as they assemble their own dinner. I’m so sneaky? Each person chooses what they like to put into their own taco, perfect for a fickle crowd. Tacos are delicioso hand held meals, so there are fewer dishes to clean up. Who likes to do dishes? Tacos are also great for family dinner because the kids like they’ve made their own dinner, and they are allowed to eat with their hands (which is also one of the reasons that Billy loves to eat tacos). The ingredients in these tacos go really well together, but of course pick and choose what you like to put in your tacos. "Wait! What's going on here? A lean dish?" you ask...Why yes, I make lower fat meals too; smarty pants. 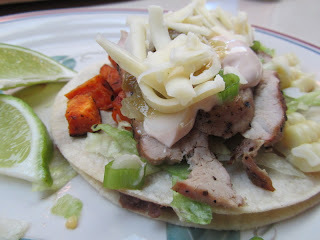 I have made these tacos lean by using pork tenderloin, reduced fat sour cream, and low fat refried black beans. These are also a perfectly tasty and nutritious when made vegetarian, by leaving the pork out. 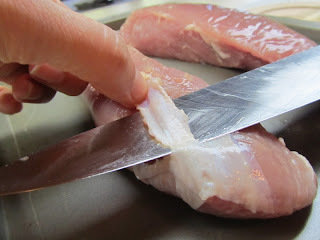 Remove the silver skin from the tenderloin. Season the tenderloin and either put it on the outdoor grill, or in the oven. It cooks in about 40 minutes or so. 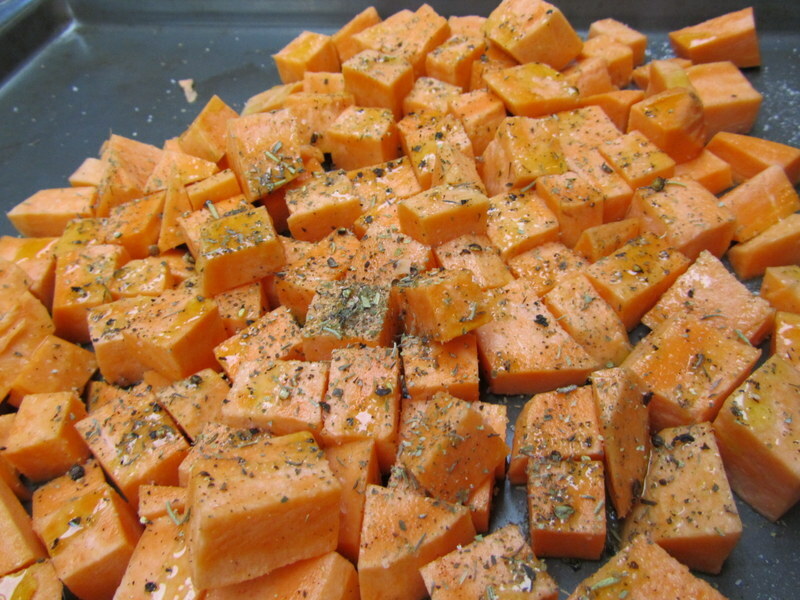 Toss the ingredients together for the sweet potatoes on a sheet pan, and roast them in the oven for 20 to 30 minutes. 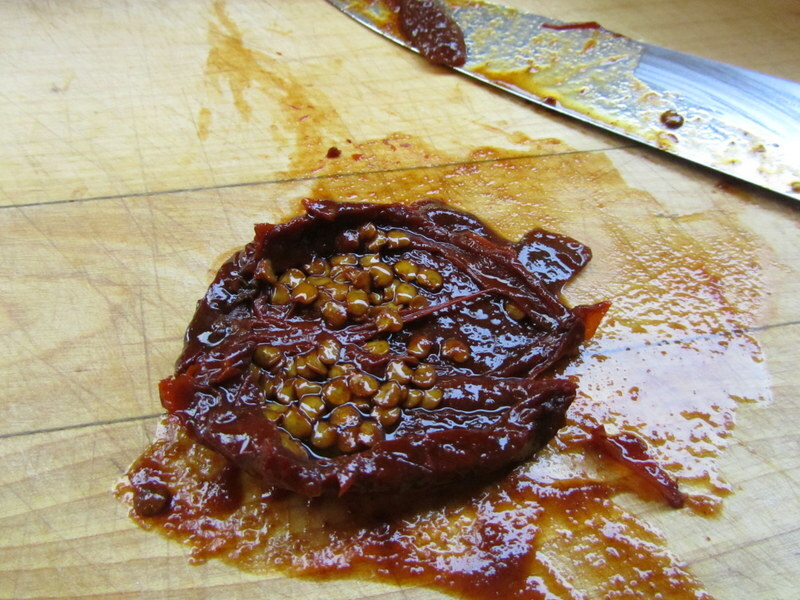 *If you don’t want to make the Chipotle Sour Cream you could season the sweet potatoes with a little ground chipotle pepper, or chili powder. 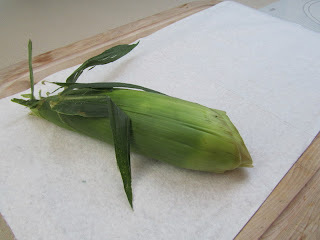 I cook my corn on the cob in the microwave. 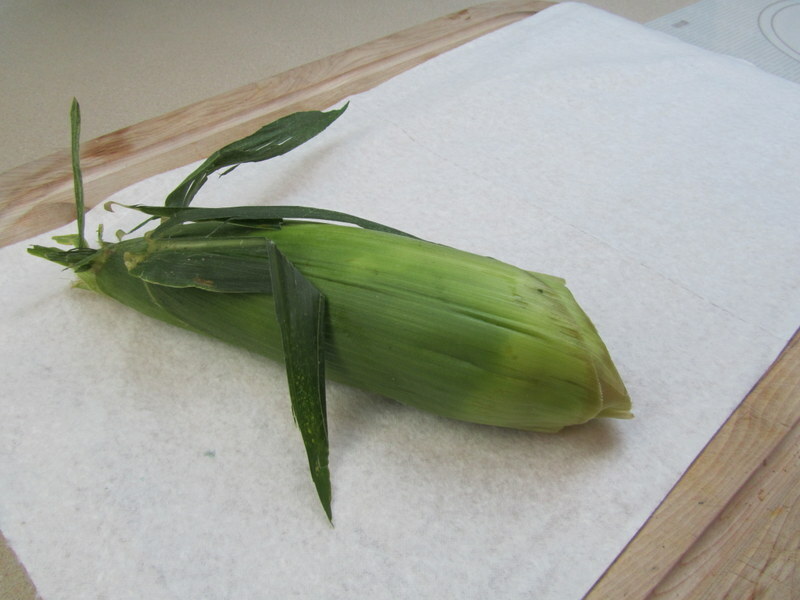 Don’t shuck the corn, just wrap it some paper towel, dampen the paper towel, and microwave on high for 5 minutes (that’s for 2 ears of corn). 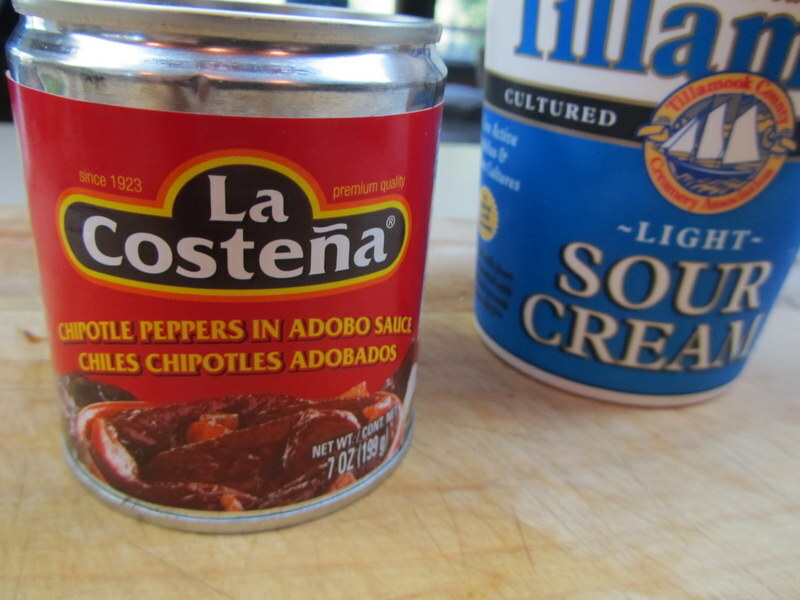 Here’s what you need for Chipotle Sour Cream. The addition of chipotle makes light sour cream taste yummy! Cut open the chipotle pepper, and remove the seeds. Heat the refried Black Beans. Again I use low fat…Did you notice? I prefer corn tortillas. They need a little fat to make them pliable, so I use cooking spray. If you have an oil mister you can use that. Wrap them in foil and put them in the oven for a few minutes. 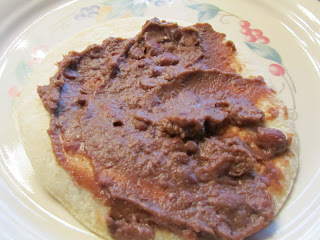 Corn tortillas also don’t hold together well, so I use two per taco. 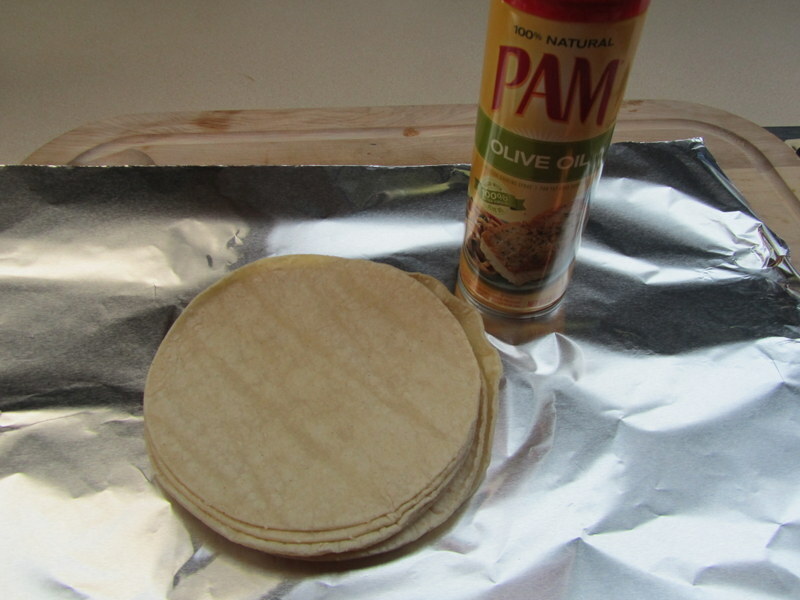 If you prefer flour tortillas, just wrap them in foil and warm in the oven. You only need one flour tortilla per taco. Here’s what I have at my Taco Party! Put the beans between two layers of tortillas if you so desire. 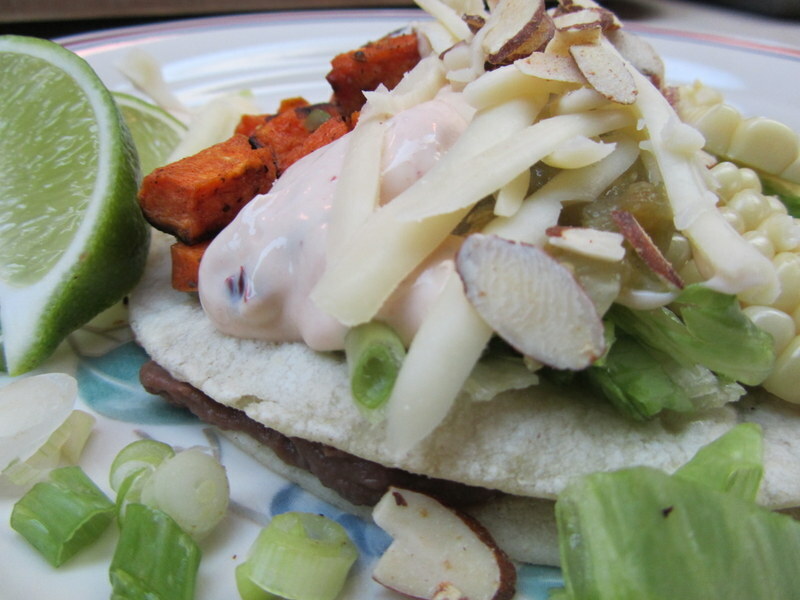 I made my tacos too full to close…I do it every time. This is vegetarian, with almonds, and without pork. 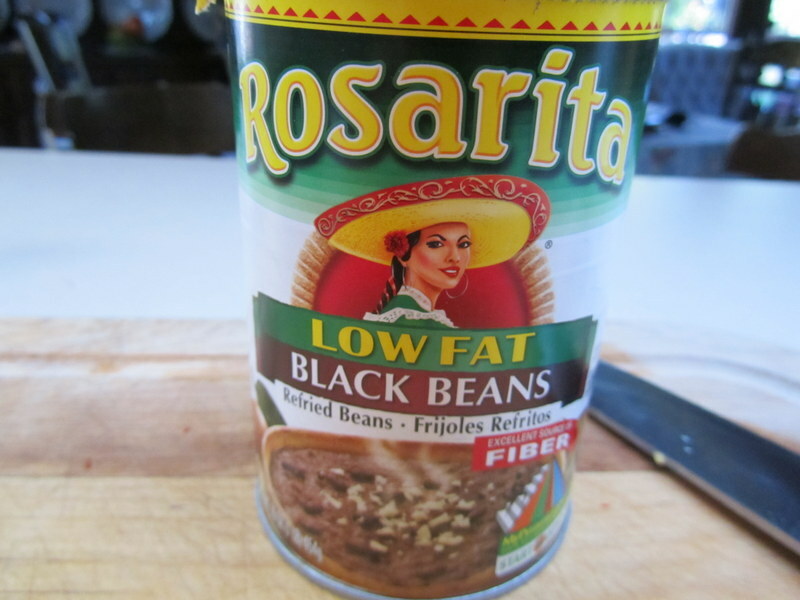 1 can Refried black beans, heated, a can is about 16 oz. 2 cups Roasted sweet potatoes. See recipe below. 1. 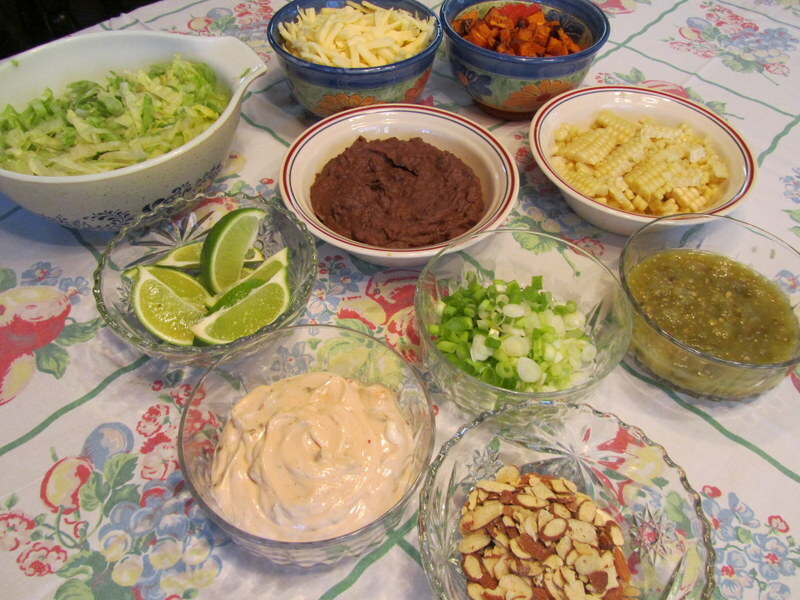 Fill your tortillas with as many of the ingredients as you like. If using corn tortillas, double up because they tend to tear when filled. 1. Pre- heat outdoor grill to medium heat. (Or heat the oven to 400 degrees). 2. 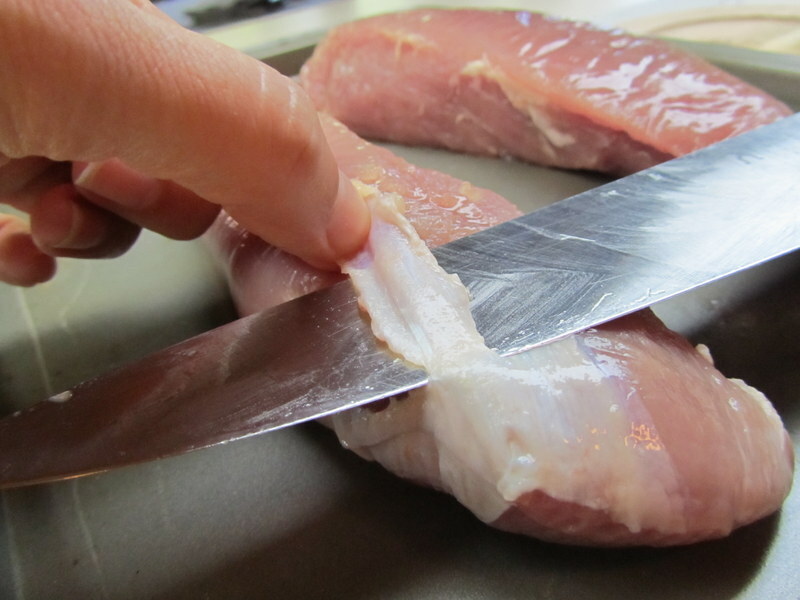 If there is any silver skin on the tenderloin, be sure to cut it off with a sharp knife. 3. Coat the pork tenderloin with the olive oil, and season with salt, pepper and Italian seasoning. 4. Cook on the grill, about 40 minutes. Be sure to turn the tenderloin in order to brown all sides. (In the oven will be 40 to 50 minutes). 5. 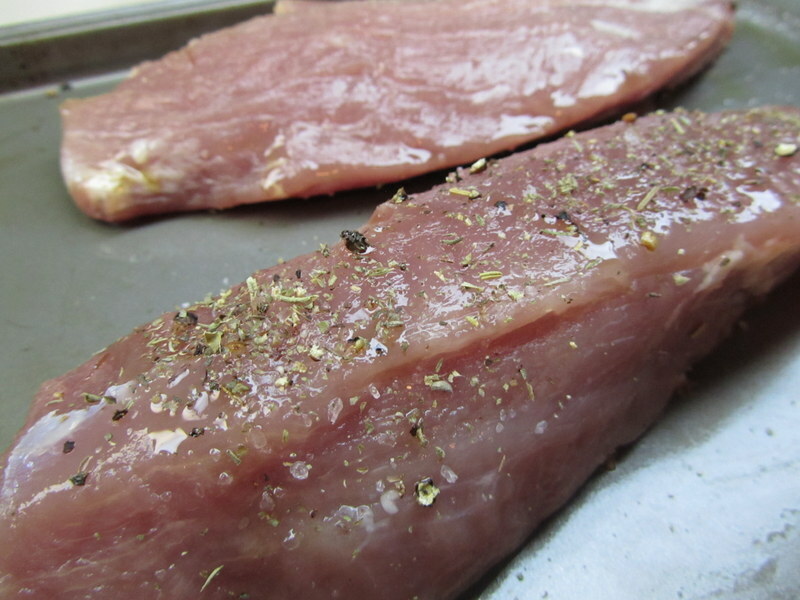 When the tenderloin is cooked remove from the heat, cover and let rest about 10 minutes before slicing. 1 Large Sweet potato or yam, washed, scrubbed and cut into about 1/2 inch cubes, yields about 2 cups ( you can peel the sweet potatoes if you like, but the skin/peel is quite tasty when roasted, not to mention nutritious). Place the sweet potatoes on a sheet pan. Toss the sweet potatoes with the remaining ingredients, coat evenly. Roast in the oven, 20 to 30 minutes. In a small bowl mix the ingredients well.